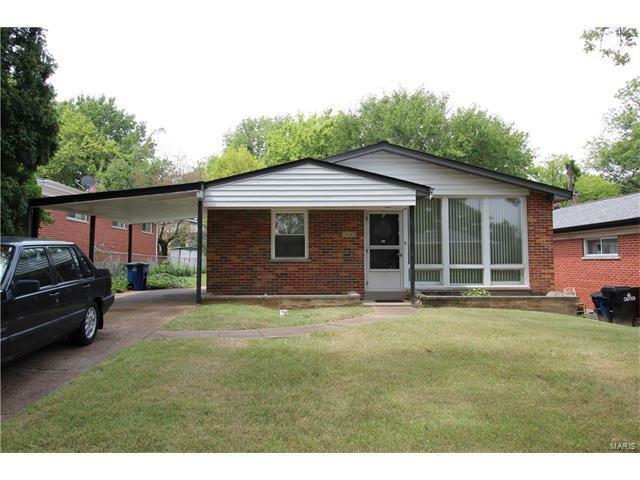 Ranch style home in great University City location. Enter into spacious living room with vaulted ceilings and large windows. There is also a formal dining room just off the kitchen which features newer counter tops, gas oven, dishwasher, and refrigerator. Master Bedroom has full en suite bathroom. All bedrooms have wood floors. Basement is partially finished with large recreation room and plenty of storage. Drain tile system and sump pump will keep the basement dry. New roof was put on in 2015 and there is a transferable warranty. Seller is also offering an HMS home warranty. Olive 1 mile west of I-70 to south on 81st street to Blancha to Blancha Ct.